A year after it was created, The International Consortium for Advanced Manufacturing Research is planning its “coming out party” at the nation’s leading semiconductor manufacturing conference, which runs July 14-16 in San Francisco. 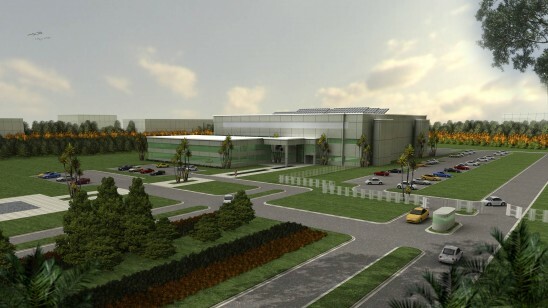 Last June, the University of Central Florida, Osceola County and the Florida High Tech Corridor Council committed funding and resources to develop the $61 million state-of-the-art advanced manufacturing research center. Since then the total commitment for the project has grown to $162 million – still shy of the $195 million needed to build, equip and run the 100,000 square-foot facility for the first several years but enough to propel the center to recognition among semiconductor and other advanced manufacturers around the world. “We started with the goal of being first out of the gate to build the type of facility industry needs to access the Internet of Things,” said Dan Holladay, executive director, operations and technology programs for ICAMR. “We have made significant progress in technology development discussions with industry leaders and incorporating those requirements into our completed building plans,” he said. The 20-acre site, located near the intersection of U.S. Highway 192 and Florida’s Turnpike, has been cleared and supplemented with 30 surrounding acres for development of the FARM – a research park that will house users of the facility. The first phase of the building has been designed and construction is scheduled for completion by early 2017. The center is also making Central Florida a viable contender in federal awards competitions, playing a role in three major grants for a total of $500 million, Holladay said. Because of the investment in ICAMR, Central Florida is in a stronger position to compete for the jobs of the future, he said. Read more about ICAMR at icamr.net or https://www.linkedin.com/company/icmr/ .